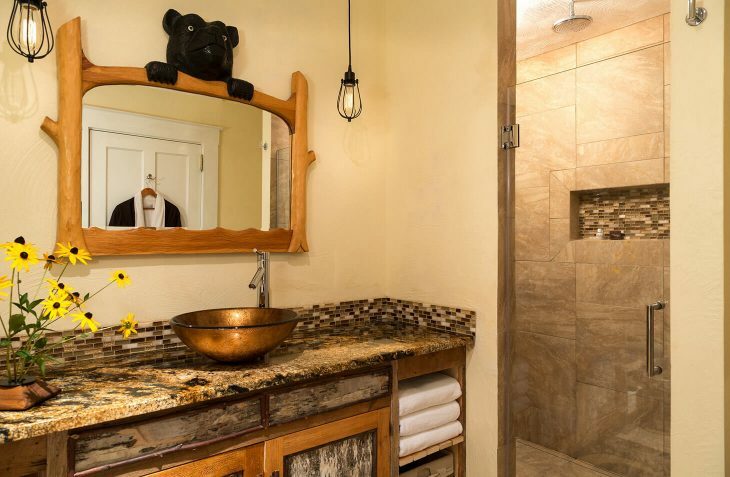 The centerpiece of this room is the custom designed king bed where little black bears are masterfully carved in each of four bed posts. 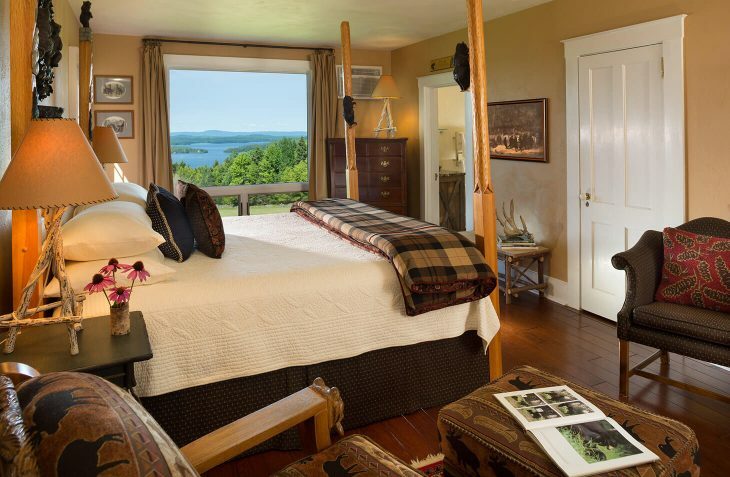 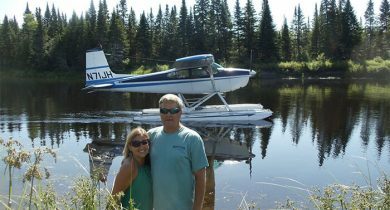 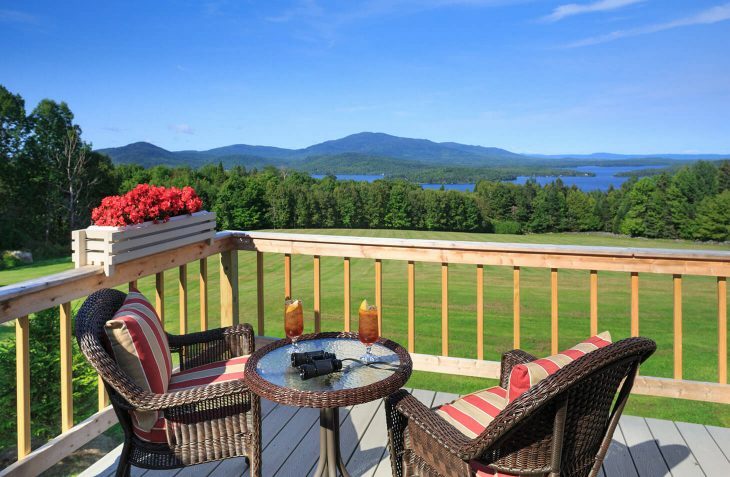 The Bear room overlooks Moose Mountain and Moosehead Lake framed by a large picture window. 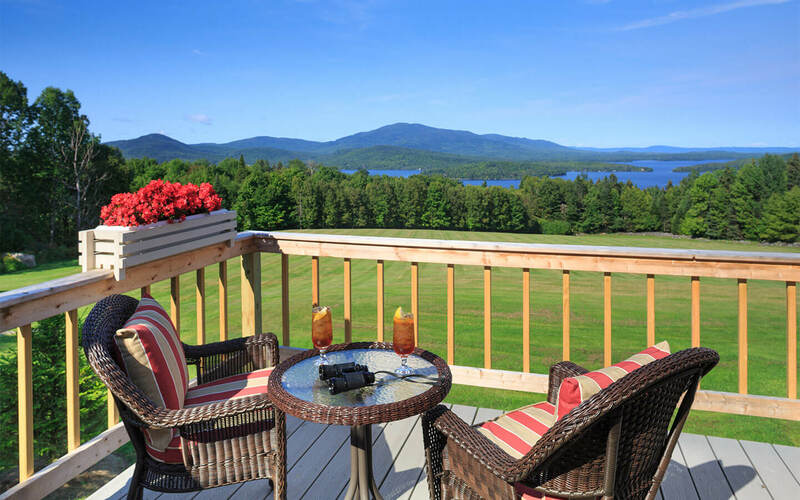 Step out on your private deck to enjoy a beautiful morning in your wicker lounge chairs with a cup of freshly brewed coffee from your in-room Keurig. 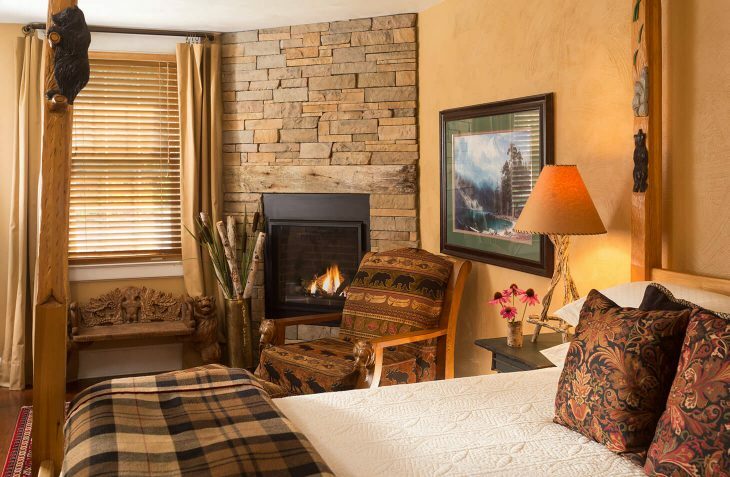 Bear’s room at the Lodge is your haven from the world and the corner stone fireplace and comfortable chair lets you unwind and curl up with a great book.